Johan Sara jr. - "Transforming"
Johan Sara jr. is born and raised in Alta, and lives in Maze. He is now releasing his twelfth album. This album is the second in a series of 3, a trilogy with sound recordings taken from the coast of Finnmark. Sound/field recordings of the ocean, birds, walking at land and beach and many other elements which are further developed through a whole trilogy - dramaturgically, dynamically and progressively. The concept of this release is to reflect the sea-sami life in Finnmark through sound. An art work with a clear theme. This trilogy project is a continuation of the Transmisson trilogy, which in turn reflects the Sami world in the inner and high plains part of Finnmark. Unlike No. 1 "Sea Sami, See" that contains only natural sounds, this release is a further development of the natural sounds in an electronic direction. Acoustic sounds are processed electronically and assembled to an entire composition of approx. 1 hour. With clear sound, we will be taken to the coast of Finnmark. Long timbres and quiet but intense periods, dynamic animal and bird sounds and the mysteries of silence lead the listeners on an exciting journey on the coast of Finnmark in spectacular nature. The music illustrates the interaction between man and nature in a harsh and shifting clime. The story tells of a sturdy type of people who has survived the harsh climate in the north through generations and where the ocean gives and takes, but regardless of everything, the eyes are always facing the ocean without worries about the situations of life. No.1 "Sea Sami, See" illustrates the image on the sea. No. 2 "Transforming" on land. What will be No.3? Pay attention! Sami reindeer herder yoiker and poet Lars-Ánte Kuhmunen at last came to Nashville (USA). An old dream from the teen age years, which arose at the foot of the mountains in Lapland came true. With the cooperation of the super producer Will Kimbrough, Björn Pettersson Thuuri from the Willy Clay Band from and from Emmylou Harris eminent band, The Red Dirt Boys, the new album took shape. With a perspective from the other side of the Atlantic, it was time to make music that looks inward. Time to deal with the conservative, hierarchical, and harsh climate that prevails among the reindeer Sami population. Reindeer herding today entails a constant battle. Not just a struggle to preserve an endangered culture against the Nordic countries' economic interests, but also a struggle against a tradition of outdated structures and values ? ?within the Sami world in reindeer herding. The resulting, "Riihmagállis / A Legend" is Lars-Ánte’s third album, and is one of the most important releases that has been made of a Sami artist in later years. An uncomfortable, challenging and honest confrontation with a reality that few outside the Sami culture knows about. But there is also music with distance, passion and humour. A meeting of the highest class between Sami and American roots music. A musical encounter that everyone, regardless of background and affiliation, can appreciate. 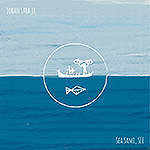 Johan Sara jr. - "Sea Sami See "
eleventh album. This album is the first in a series of 3, a trilogy of audio recordings from the coast of Finnmark. Sound recordings of ocean, birds, boats and rowing and further developed through an entire trilogy - dramaturgical, dynamic and progressive. The concept with this release is to mirror the sea Sami life in Finnmark through sound. An artistic expression with a clear theme. This trilogy project is a continuation of the Transmisson trilogy reflecting the Sami world on the vidda or inner part of Finnmark. Johan grew up in Alta and at Stjernøya and has close relations with the sea and the life that takes place on the coast. This entire universe has been stored in his memory from childhood. The returning - as he says - to his original roots is great, and also emotional. Recreating sound on the basis of all the feelings and experiences over time as a child and a youth has been an important plan for Johan. The project also has other intentions. Among other things to picture the environment and try to experience this from a different perspective in a different way in order to better illustrate what concerns us, here up north. A journey for us, so close and commonplace, but without noticing it, for it is there right on the outside our houses. Johan says: In my mind to return to all the great memories is a revelation in itself. All of the birds, ocean, fish, different weather conditions, boat, calm, reindeer and especially smell. All this puts things in perspective, an unimaginable landscapes and a region with so many possibilities. Dream society ... a yearning for the real, being present now .. the dream. Thinking back on that roots are important, forms an identity that we can be proud of. Knowing that here my ancestors abode hundreds of years will do something with the human mind. All these thoughts create a driving force, a hope of continuing the tradition and culture, and make a new development. This creates favorable conditions for descendants to further proudly say with a straight back "I experienced the storm, but was not blown off the road." Thank you mother earth for an exquisite place to be and all the music you capriciously and generously bestow on us. Lean back and listen…. nature has something to tell you and look forward to the next release. Mihkkala Joavnna Ánte Niillas – Anders Nils J. Eira /Niga - "Doalli"
Anders Nils J.Eira / Niga is born, raised and living in Maze. With this artist, we meet an experienced yoiker and actor. He has yoiked since childhood and has learned it since early. Anders Nils has performed and toured among others in Japan, Spain, throughout Scandinavia and Greenland. He is what we call a traditional yoiker and in this release the material consists of both older and newer yoiks and self-composed. This recording is the second release and the first came out in 2001.
ornament. With his deep bass voice, he shows maturity in the performance and the experience of his performance gives the listener the opportunity to immerse themselves in an old-fashioned world of tones and words that rarely can be described. On this recording we hear a yoik choir and here he brings guest yoikers from Maze, Karasjok and Kautokeino. For the first time in history, we hear a yoik choir where the performance reflects the tradition the way it once was in the old days. The experience of several voices simultaneously and in unison creates a new dimension in the vocal landscape where energies and ornaments meet in a timeless shift of phrase. This is to show a little of the old tradition where the Samis met in festive party and gatherings and where yoik was performed in unison by several people. This CD is also an important document from Maze for the upcoming generation. On this recording we also meet a young guest yoiker from Karasjok named John Mathis Utsi. The audience had to wait long for CD number 2 of this popular artist, but now it's finally here. Johan Sara jr. - "Remix"
Johan Sara jr. was born and raised in Alta, and lives now in Maze. He is now releasing his tenth album. The starting point for this release is from when Johan 35 years ago gave his first concert at a youth club in Alta. Already then he had decided to become a musician. A big dream at the time was to release a vinyl LP record in the future. Now this has become a reality with this album and it is a remix release. 35 years have passed since the first concert and this is now celebrated with a very special project concept in which he has invited friends and colleagues to interpret his music in a remix landscape format. The composer colleagues have chosen freely from the various previous releases and remixed tracks in their own taste. This has become an album with many variations as if it were a separate playlist on a modern format. Very varied and the touch of different styles have made this album a tasteful experience in a landscape of modern Sámi music context. A refreshing experience where the intention has not been to complicate the music, but to bring it more in the direction of the musical styles that exist in the pop world today. Johan is also especially very proud to present the resources involved that exist in his own region and / or originating from there. A big THANK YOU to everyone who has contributed to this album becoming a reality. John André Eira is 22 years old and from Maze. Here we meet a young yoiker who master the traditional style to the full. This release is a pure á capella yoiking CD. He is a talent within traditional Sami music and the first in Sami history with his own CD release in this age group. He has had a good family who have kept the tradition alive and thus influenced and inspired him to learn yoiking and practicing the disciplines that this art form requires. 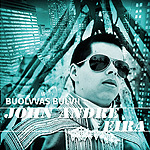 John André is in spite of his young age to be considered as one of the foremost talents and practitioners of traditional Sami music in Northern Sami style. On this CD he performs yoiking of six generations of persons yoiks and the oldest dating back to 1800. John André performs yoiking in a very archaic way with a variety of musical ornamentation, and an advanced vocabulary of the voice with a wide level of overtones and a mature voice. It is a delight for the ear to hear how he conveys the different person characters sensitively and clearly distinguishes between male and female and young and old. He has yoiked since he was 2 years old and has had his learning through practice. His fervor and enthusiasm for yoiking is formidable. He has performed at various venues and in different contexts. He also has secondary school with music major - (main instrument drums), 2 years Folkehøyskole in Haparanda - (Sound engineer). He is multi-talented and has an enhanced ear due to the fact that he is blind. This reinforces him as a musician. He takes the initiative and works hard. and to inspire and motivate especially young people in Sami music tradition. Lars Henrik is from Karesuando in Sweden, where he grew up in a family of reindeer herders. He is sixty years old now and he has been in reindeer herding all his life. He also inherited the yoigan, the traditional Sami chanting and has trained and developed this skill since he was a child. This is his first release, but he has performed with yoik, not only in Sapmi and on the Nordic scenes, but also abroad like in Greenland, and Guatemala. His talents as yoiker and storyteller has been recognized in a variety of performances-productions ; like in theatre, yoik courses for children, in Norway Broadcasting Cooperation, Sápmi and several movie productions and, . His stories are ancient rooted, but he also presents stories in an excellent way from his nowadays contemporary world. Lars Henrik has also worked extensively with the legendary multi-artist Nils Aslak Valkeapää in the mid70s. This is a CD with traditional Sami music and Lars Henrik represents one of the last surviving tradition carriers within the yoiking style in Sweden.,He shows how he fully masters the old school of yoiking; bearing the yoiking in a phenomenal way with strong expression. The vocal performance tells of a well- established yoiker and that he also appears as an accomplished performer. In his yoiking performance arises energy and often the audience is spellbound. Those who have waited for this release will not be disappointed. You will listen to a master; with vocal performances with clear tones, ornamentation of high class, and a rare overtone spectrum. This is a rough and beautiful record. His motto : The nature reflects life and where words disappear yoiking takes over. The last part of the music concept trilogy is now complete. With this trilogy concept composer and musician Johan Sara jr. has tried to create a picture of how yoik started. A sort of documentation on how the Sami music yoik wandered, survived and developed until today. Questions that have been asked are-where did yoik start, where did the different melodies start and what was the origin of the tones? Was it from the sounds of nature? The Sami yoik is functional and versatile and has great development potential. This the composer has shown in this concept with the releases Ludiin muitalan, Transmission and now the last Voi_Ice In Cube. Voice has been the cornerstone of two of the releases, and as we know, voice is also the main instrument in the Sami musical heritage. Another thing is the language. Did you know that there are hundreds of words for describing the ice and snow in Sami. Some of those included in Part VI. Yoiks ideological position, and also its potential are strongly related to nature, and yoiks functionality associated with the performance and the elements of technique based on breathing and voice, help to make this release an exciting and modern soundscape, based only on voices guided by the sounds of nature. Many of the voices are looped, and processed with the help of electronic plugins. with high resolution. Must be experienced! 12 years has been used to implement this project. A conceptual project that has gradually evolved, and as the composer says: "The driving force has been the quest for yoik’s secrets and codes. A unique and fantastic journey in the sami music-ethnological world far north inside the circumpolar regions where the light always shines." Two wonderful guest musicians has been involved in this concept. Ole Larsen Gaino 80 years, a master of traditional yoik and John Andre Eira 21 years, a unique talent of traditional yoik who will carry on the sami musical heritage to the next generation. Lars Ante is from Kiruna and is a reindeer herder. He began his singing career already 5 years old with yoik performances for family and friends. His first public performance when he was 12 years old. Since then he has made countless appearances both at home and abroad. His first album he made in 2005, "Birrasis" which he got the “Folkelarm prisen” the Norwegian folk music award for and very good reviews from the press. Now in these days Lars Ante launches a new CD, but this time as a singer. With the self-written lyrics and melodies wrapped in 60-70 style produced and arranged by the critically acclaimed master producer Tobias Fröberg, and also with the track “No Ale” as a foundation for cooperation with Johnossi. The product has become a rough and ”catchy” record with strong political lyrics as well as subtle and poetic lyrics. In vogue CD in orthodox costume and with phenomenally good sound production both for the growing generation and for those who let themselves be seduced in nostalgia spirit.This is a record with warm recommendations. A record with a complete and thoroughly worked through style. With lyrics from the coastal environment and self-composed music is communicated personal stories from the local community. Topics such as existence, people, love and belonging is the cornerstone of his expression. Music and lyrics are performed in an honest, close and rough manner that is taken out from the northern Norwegian landscape. It added nothing to the side, this must be experienced "in your face". today, but also joy and positive emphasized. This is a celebration of a record to the region and the people who live there. Ole Larsen Gaino with the big voice has once again made a record.Age of 77 years has had ripple effects on his voice, but on the contrary. This production shows a deep, rugged and beautiful execution of yoik, his voice takes you on a journey into Northern Sami joik tradition at its best. The voice guides you into a tradition and culture of the human character and behavior, here is a perspective of sound art in a seductive and melancholy way that makes you at times to hold your breath. This award-winning artist, the artist and tradition bearer, is worth listening to. Let yourself be carried away! 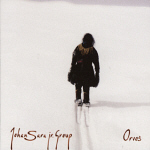 Johan Sara jr. launches a new CD “Orvoš” which is the third in the portfolio with his own band. The music is a development of the “Boska” CD that came out in 2003. In this new CD the boundaries are stretched both musically and in respect to the sami vocal traditions. In order to perform yoik it takes a technical vocal foundation to be able to utilize the power of the yoik and its potential. On this CD the yoik moves in a border area near traditional yoik, but is expanded out to a modern landscape. These elements belong together, modern and ancient. To be able to move into the future the roots needs to follow along. 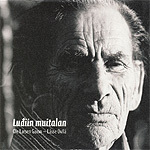 In this CD all boundaries of what is commonly connected with sami music is expanded. Modern western musical expressions from various genres is stretched, and optimally shaped in an uninhibited, progressive electronic landscape of sound. The result has become a rough-edged CD with an air of punk's unpolished momentum and leading to a meditational thoughtfulness . The power and force in this musical encounter takes our fantastic yoik tradition into the future and brings our heritage … out to the anticipant listener. Orvoš means, the peak from where you see all. Press release:This is the third own album of Johan Sara Jr. The previous albums have received critical acclaim both in Norway and abroad. With this CD he has taken a step further. He cooperates with turkish musicians, with the goal to blend sami and turkish music traditions. He has several times been to Turkey to get to know turkish culture and music, and also to make the recordings in Turkey. This has resulted in an exciting album where culture, people, music, language and energies meet. It proves that these two cultures are very close to each other in expression and musical bridges are built over long geographical distances. He cooperates closely with Umut Yasa who is a magnificent singer and musician, and who has also coordinated the project in Izmir. Norwegian and swedish musicians also take part on this album.The result has become a unique and exciting CD with lots of musical surprises.CD produced by Johan Sara jr. 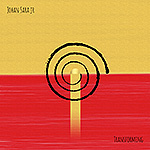 PREVIOUS RELEASES Johan Sara Jr.